The role of technology requires some deep theoretical underpinnings to guide our thinking. Participation empowers us for civic engagement, moving us from being information consumers to becoming creative contributors & sharers. Librarians as information specialists (this has always been the key role of the library) are now (should now) be in the thick of this new diversified information landscape that provides opportunities for engagement and participation. Knowledge, now more than ever, is based on our ability to connect, collaborate & network with knowledge when we need it rather than storing knowledge just in case. The skills AND knowledge required of us & our students to navigate our increasingly connected information landscape are continually adapted & refined. Having a staff member whose role is (and has always been) devoted to understanding & building capacity in information literacy is vital in any community or organisation. Technology provides immense possibilities for information specialists to support diversity and student identity through engaging and supporting a rich multilingual environment. It is a profound challenge for librarians to provide connection to resources that recognise the broad cultural diversity in our schools. Supporting multilingual pedagogy (Jim Cummins) is fundamental for student engagement in globally connected education environment. This post will not be surprising coming from a librarian but still, it needs to be said. 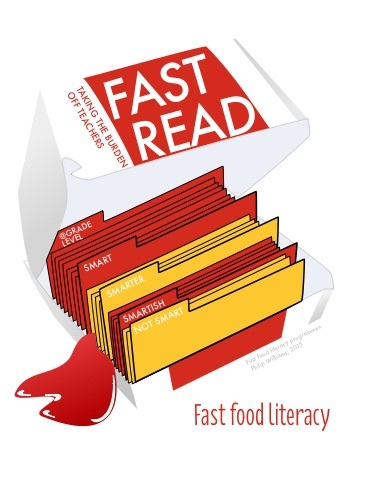 I call it Fast Food Literacy (#FastFoodLiteracy). I am talking about the prepackaged and heavily marketed reading programs produced by the big educational publishers. They are attractively packaged and so convenient that a school can purchase a large levelled reading set or online program at the push of a button. In contrast, to build a library collection of a similar size takes many hours of carefully reading reviews by trusted sources and researching authors to ensure the very best of what the world has to offer in literature is available to the students when they need it. A library collection built in this way is also tailored to suit the unique needs of that school community. 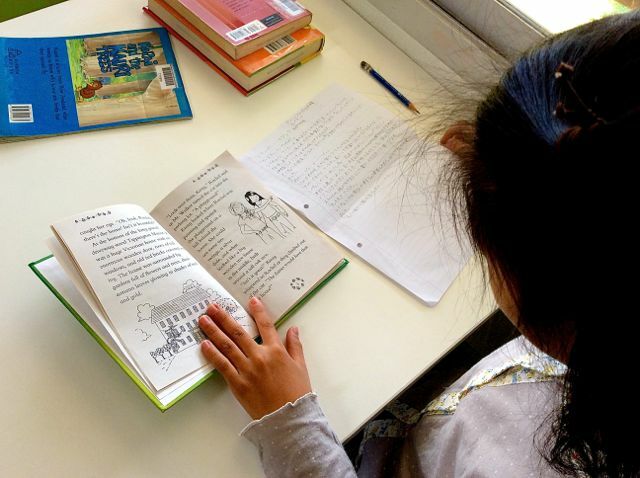 How could a generic levelled one-size-fits-all reading package possibly meet the needs of every school community around the world? The analogy with fast food seems so obvious when reading sets arrive in their brightly coloured cardboard prboxes with the easy access flip-lid. This corporatisation of education is extremely concerning on many levels. The pleasure of reading is transformed into a literacy commodity purchased for consumption. Students are placed on a conveyer belt in production line of literacy education. The sell is that it is personalised or differentiated with the subtext that if you are really serious about literacy education, regardless of what you are doing now, you need the proprietary package. The branding instills a sense of security that is based on marketing strategies rather than a deeper concept of literacy. Schools earnestly striving to demonstrate that they take literacy seriously are drawn to this sense of security in a brand because it is a tangible but this security is shallow and false. For example, consider the “pedagogy of multiliteracies” that “immediately shifts us from the dominant written print text to acknowledge the many varied ways that literacy is practiced in the new millennium”. Further, the approach of Jim Cummins builds a far more sophisticated view of literacy and language that has relevance to a world wrestling with multiculturalism, plurilingualism and diverse semiotic codes. Among the most worrying concerns is that the corporately driven programs turn the focus from building student agency to a model where students are programmed. Student agency is replaced by response to stimuli (at best). Literacy is removed from the learning environment and diced up into fragmented chunks. There are so many unchallenged assumptions in this approach that it is hard to know where to start (or finish). I would also bundle textbooks in with these fast food curriculum resources but that is another discussion. In contrast, reading that is embedded in rich contexts of inquiry ensures that meaningful understandings are built and endure. “Learning happens best when learners construct their understanding through a process of constructing things to share with others.” (Jonan Donaldson). This is entirely absent in the fast food reading programs and textbook curricula. Multiliteracies pedagogy, student identity & the school library. After 6 months of learning English a student has decided to translate sections of her favourite book into Japanese. Given the time & space, she makes sense of her new language through the lens of her first language. recognising, valuing and investing in student identity is a necessary prerequisite for engaging students in learning. Language learning that does not build on the “cultural capital” of our students or connect to individual student identity is destined for a stagnant, linear and “authoritarian kind of pedagogy” (The New London Group). Another key component to a multiliteracies pedagogy described by Cummins is interdependence across languages where strong understandings in one language can transfer to another language. This is a capabilities based pedagogy that sees strengths in any language as a valuable basis for intellectual and creative linguistic development in other languages.